Water does not come from the tap. Water, the precious resource that maintains human life and function, provides the food we eat, the cloth we wear, the energy we use and the products we use on a daily process, is produced as a natural resource through climatic processes. How we utilize the water resources, how we impact on the water resource and the processes that produce the water, each impact on the sustainability of the resource and its potential for further use and development. Water resources management is not simply about engineering and building more dams or pipelines. Managing water resources includes understanding who (communities, farmers, industry, etc.) are using the resources, how is it being used (cultural, religious, production, drinking, environment, energy production, etc. ), what is the quality of the resource, what impacts and challenges are facing the resource, what are the demands, impacts and challenges for the users, how is the resource managed (legislation, policy, monitoring, etc. ), where does the resource come from (recharge), where does it go (downstream dependency); all combined into an integrated management system or plan in order to ensure sustainability of the water resources. Waterlore specializes in water resources management. Water resources management is not just about making sure there is water in the river or dam, but ensuring that the availability of the water is sustainable, that the management, utilisation and development of that water resources is conducted in a sustainable manner, in order to support social upliftment and economic development while not undermining the resource base or ecosystem resilience that provides the water resource. Policy – the framework in which water resources management takes place, including review and drafting policy and legislation, institutional structures, compliance and enforcement systems. Planning – compiling resource management plans for specific water resources or geographic areas including Integrated Water Resources Management (IWRM) plans, Catchment Management Plans, and adaptation and resilience plans. 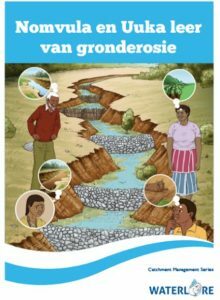 Education – training of users in water resources management, from government officials, extension officers, communities to school children, through curriculum development and development of teaching materials. For a detailed CV please contact Dr Braid directly. It is important to have an enabling environment in place that supports and promotes sustainable utilisation of a country’s natural resources. The enabling environment includes the national policies, legislation, regulatory frameworks and the institutional structures and their roles and responsibilities, i.e. the administrative framework within which natural resources management activities can take place. The enabling environment must promote an integrated and multi-sectoral approach in order to be sustainable and achieve successful implementation of national objectives. Natural resources are by their nature part of an integrated system, therefore their management for rehabilitation, protection and sustainable utilisation must also encompass an integrated and systematic approach. The translation of policy to the ground is through catchment management planning. A Catchment Management Plan (CMP; also called Watershed Management Plan) is compiled based on the specific characteristics – e.g. 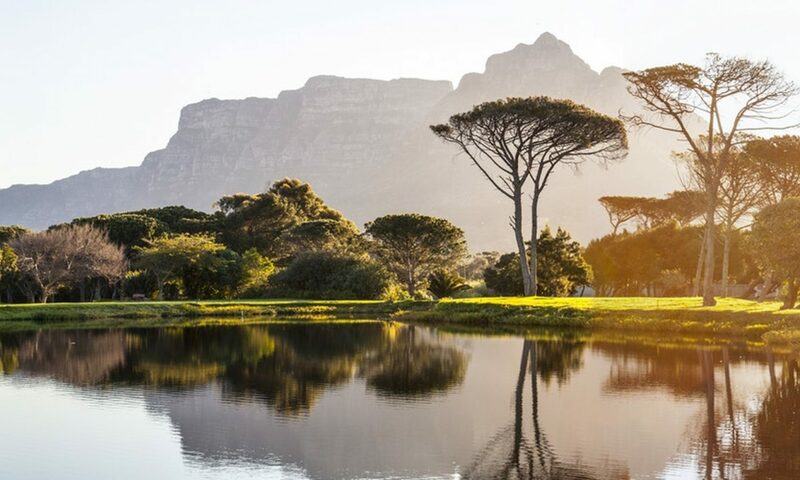 environmental (including but not limited to hydrological -surface and groundwater, environment characteristics), social, economic, political, traditional/cultural aspects of a catchment. Each catchment is different – it has different boundaries, different communities, different issues, different strengths, different demands and different growth projections, therefore individualized catchment management plans are necessary. Water resources management and planning takes place at a variety of hydrological scales and administrative levels. Demonstration projects include hydrological scales of multi-national transboundary river basin, and water resources management scale and down to local-scale catchment specific scale; at administrative scale includes national, regional, provincial and local government scales. Catchment Planning is not limited to water planning (surface and/or groundwater) but includes the current integrated demands and future demands on resources, taking cognizance that utilization of all resources have an impact on the availability of the water resources. Knowledge sharing/transfer, training, and capacity building are each education-based activities which is important for building capacity within institutions responsible for managing the natural resources of a country as well as in communities who live and use the surrounding environment. Education is broader than the teacher-pupil approach, it includes self-learning and educational materials to support or re-enforce training modules. It is important that educational materials are designed in a manner that is appropriate to the audience and creates literacy in the specific field. 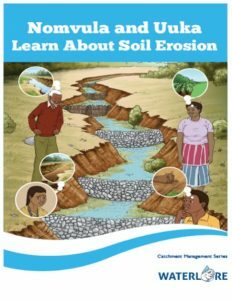 The first book in the Catchment Management Series, Nomvula and Uuka learn about soil erosion, is available in English, Afrikaans and isiXhosa in an electronic format. Send a request here. The book is aimed to support child literacy while educating children about topical environmental issues and how address them.